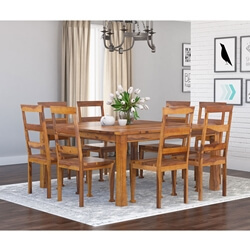 Old world traditions meet modern times in the Large Rustic Square Santa Cruz Dining Table and Chair Set. 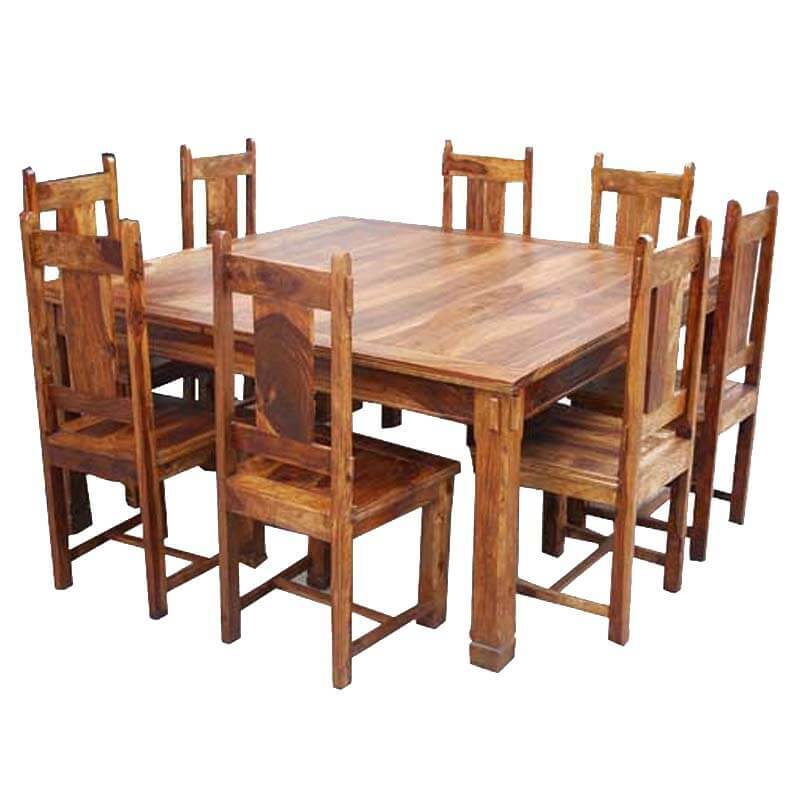 This rustic dining table is perfect for a large family or large groups. 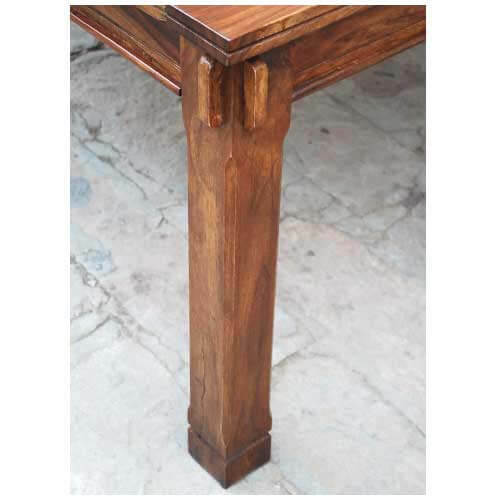 • Solid Wood table top measures 64 by 64 inches. 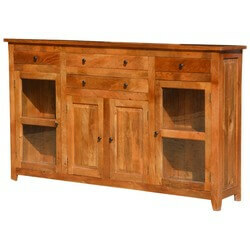 • Entirely handmade from Solid Wood. • High back dining chairs which creates extra comfort. 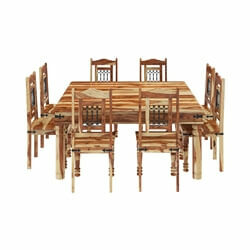 • The simple block design of the dining table and chairs invite comfort. 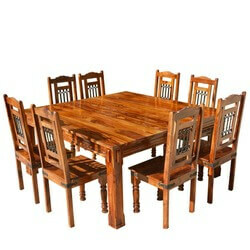 • Hand finished with individually-prepared wood stain that protects and maintains the wood grain. • A lengthy hand waxing process is applied to each piece.